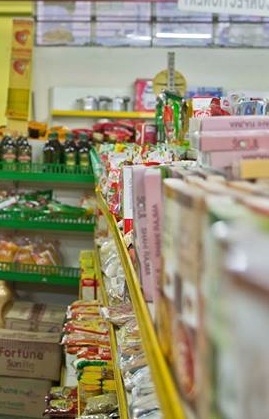 Decade ago, on this day 9/9 we started a supermarket around 3500 square feet in ground floor in a small city in India,Maharashtra Nashik ,we were the first supermarket even before the big player like reliance ,and big bazaar or more from the birla group who thought to enter the retail category . and 10 years later we have still have this store in the same place ,basement but today we have quite a few competitors who have been inspired by us in many ways right from looking after the customer to having the choices for consumer and customer .One right above us ,and we are still surviving ,we foodmart have imported stuff like sauces ,cheese and much more non veg being are Usp ,so in these ten years we have known the city ,people and we too have had a lot of activities from companies ,brand and people coming from another part of the city . at foodmart I have personally enjoyed being the salesman selling and creating awareness on new products,offers and trying hard to make customer spend more than what they have to spend . These ten years nothing much has changed the two main staff members are still there ,or rather they are the only ones with us . the cash counter from two have come down to one and the software still remains the same ,the barcode scanner has been replaced with fingers . Today 2013 is a much better place for the city since they are aware about the products available with us . fewer complaints on well this wasn’t good . These years also made me know quite a few people who were my classmates ,or were in my school would visit the supermarket for things they only found here or just go and check out whats new . Its been one of those business we have attempted and been most successful even though we been ahead of the times ,learnt quite a few things ,and the experiences have been infinite from people mostly being disappointed and hungry for more . Yes,we hardly watched television ,since we had are cable disconnected ,it was only in the 2007 when ,yes cricket was at its peak again we installed the Satellite service ,and since then too we still couldn’t enjoy television a lot . So yes I end with us enjoying the business so much ,that we hardly had time for anything and still today we enjoy going to foodmart the supermarket ,which is now are extended family in town.